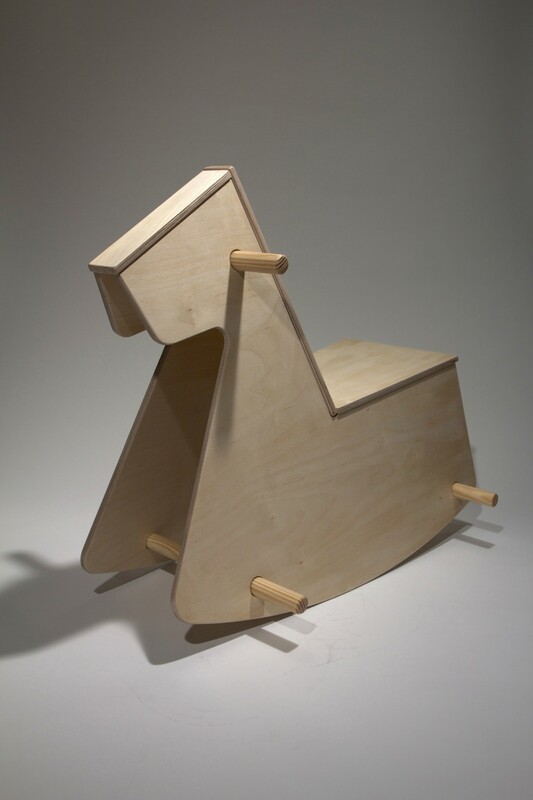 Ark is a simple childs rocking horse originally commissioned by The Ark Children’s Museum in 2015 for an exhibition called ‘Design-It’ which was a celebration of Irish Design for children organised for The Year of Design. We were asked to design a product inspired by the classic Eames Elephant stool recently reissued by Vitra. The Ark Museum has a logo with a horse so it was obvious to us that the product had to be a rocking horse so we began designing around a paired back version of what this could be and using our signature Birch Plywood and CNC production. 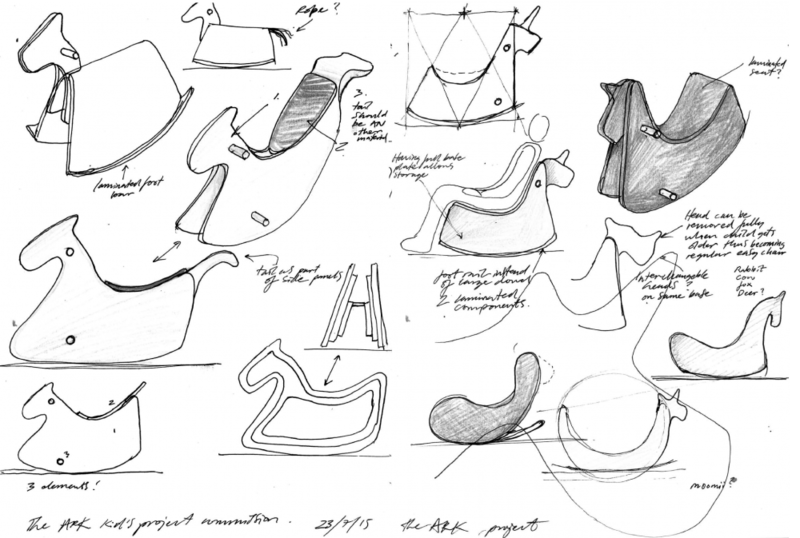 Normally a rocking chair works only in one direction with the child rocking forwards and back however we thought – wouldn’t it extend the life of the product by designing the horse so it could be sat on in the opposite direction and used as a ‘rocking chair’ too. So, we added a foot bar at the rear of the side panels so the user can sit this way also. The product comes in natural or coloured lacquers to order direct from studio. Get in touch for more information. Photo of Rock Horse by Francesco Bistoni.